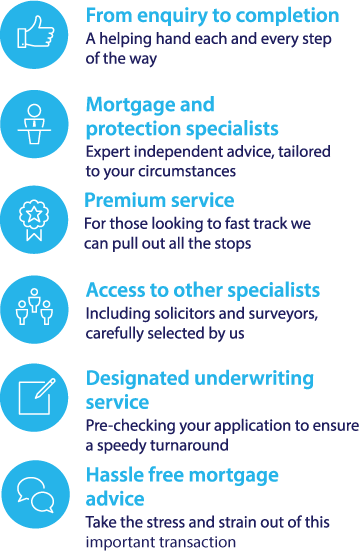 To investigate your company buy to let mortgage options call our btl mortgage team on 0117 403 4222 or fill in our call back form. Getting a buy to let mortgage can be difficult for individual borrowers. However, lenders may have further, more specific criteria for buy to let mortgages for limited companies. If you own a limited company you may find that many mortgage lenders will only approve ltd companies that solely deal in property, known as 'special purpose vehicles' or SPVs, which can be classified in different ways by lenders. It may be necessary to go through a specialist mortgage broker, in order to access a lender who will provide buy to let mortgages for limited companies, if you cannot find a high street lender who will do so. If you already run an existing trading company that is not a special purpose vehicle, then you may find it more difficult to find a mortgage; although, there are a select few lenders who will consider these applications even if the trading company does not run in property. Getting a buy to let mortgage through a newly set up limited company is possible as well with some lenders.However, they may need to verify the income of the directors in order to garner the underlying affordability of the loan. If the directors have an adverse credit history, it may still be possible to get the mortgage as long as the lender’s criteria are still met. Directors or share holders with some lenders may have to offer a personal guarantee as well. This means that if the lender has to repossess the property, and there is still money owed after the sale of the property, you will be liable for that money(which would be the same if you took out a buy to let mortgage personally). Mortgages for limited companies tend to be more expensive than you would expect for a personal application, arrangement fees may be charged at a percentage rate also rather than being a set amount. Although they are less commonly available through the mainstream high street mortgage providers, there are still many buy to let mortgages available for limited companies. Some mortgages may be offered by specialist lenders, who are only accessible via a broker. As taxation rules on buy to let mortgages through a limited company can be complex, you may also want to consult a tax adviser or qualified accountant. Limited companies looking for buy to let mortgages may wish to use the services of an independent mortgage adviser; one that offers a whole-of-market service will be able to search across a selection of different lenders using their professional knowledge of the industry, on the behalf of their clients. There are also certain specialist lenders who offer mortgages through intermediaries only. Call us for a FREE initial conversation on 0117 403 4222 about your limited company buy to let mortgage options or request a callback.